Paasche AIRBRUSH COMPRESSORS are ideal for studio, workshop, home, office. These durable and quiet compressors are compact and portable and can be used with any airbrush. 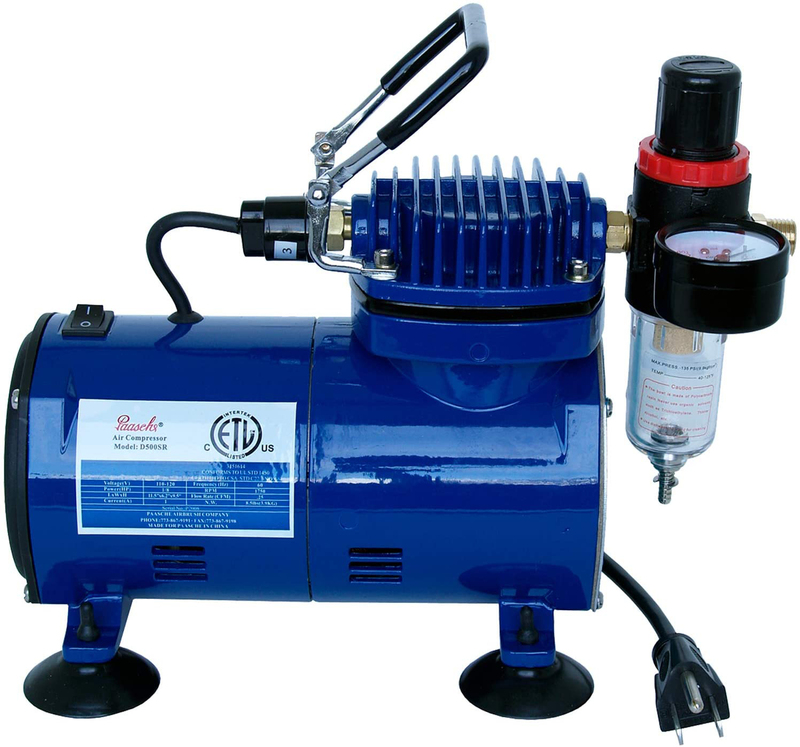 Paasche Air Compressors and Airbrushes are warranted 1 year by the manufacturer. Requires just Regular 110-120 Volt Single Phase, 60hz Power. & is rated to max. 40 PSI. limits pressure to a max. 40 PSI. 5 Ft. Power Cord.